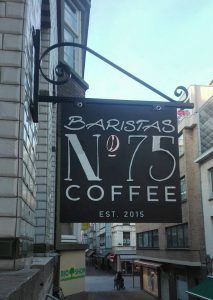 For the lovely people of Baristas No 75 we made this custom steel fixture and signage. Don’t you love the bronze coffee bean? !